Endless performance awaits you with these smart pens. 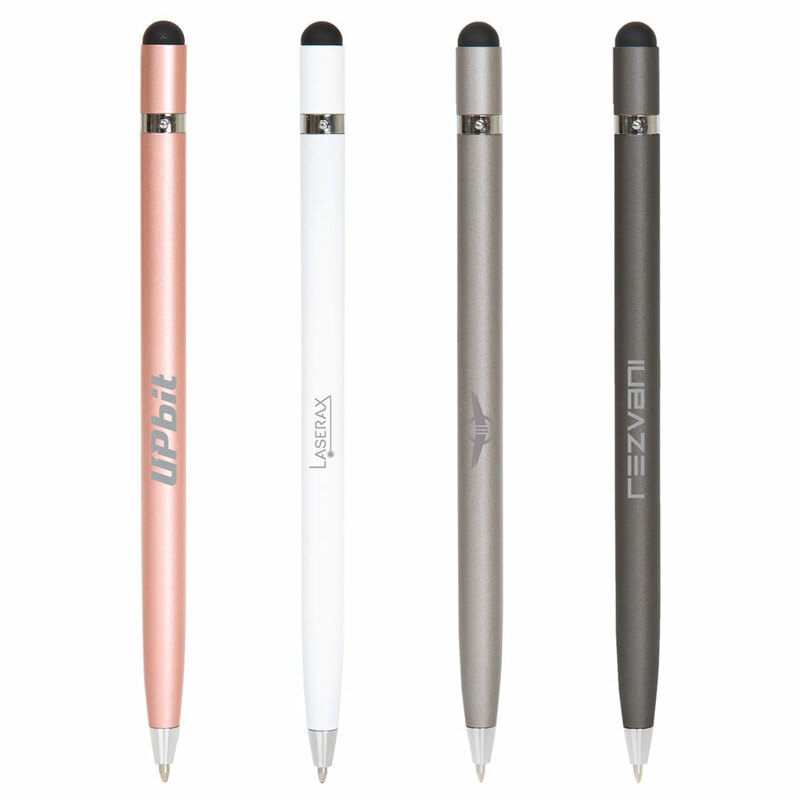 These pens will really bring your promotion to the next level! 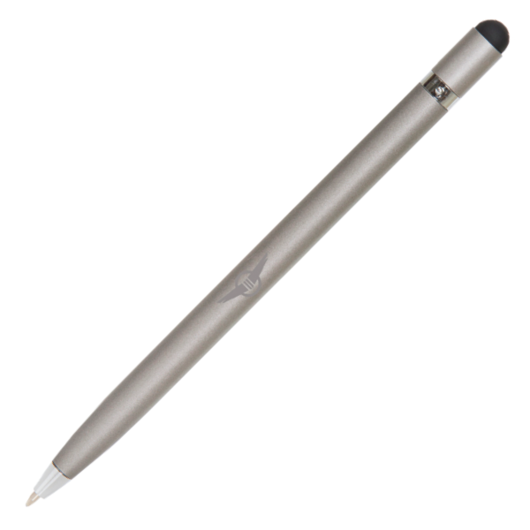 They're a twist action aluminium barrel pen with simple sleek lines for a sophisticated look. 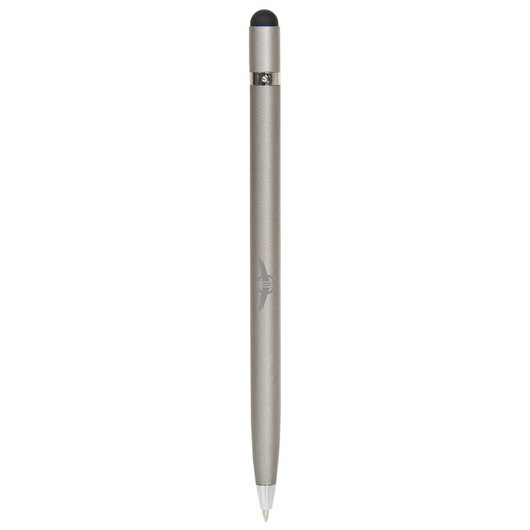 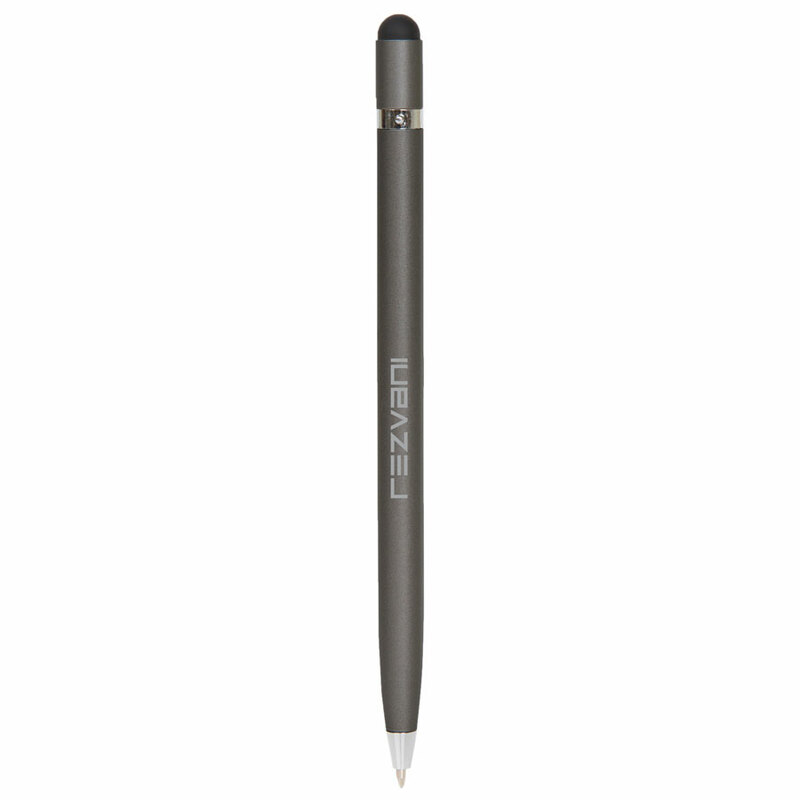 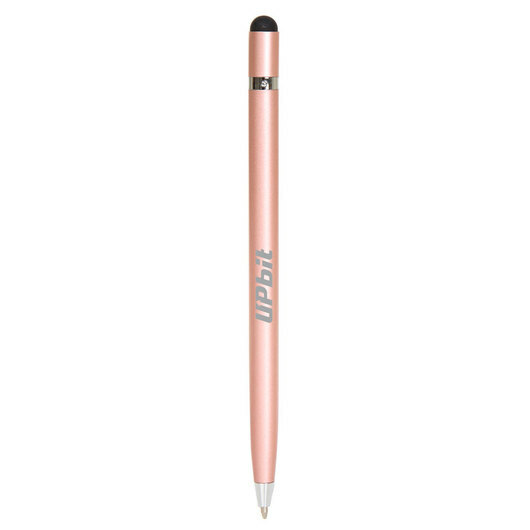 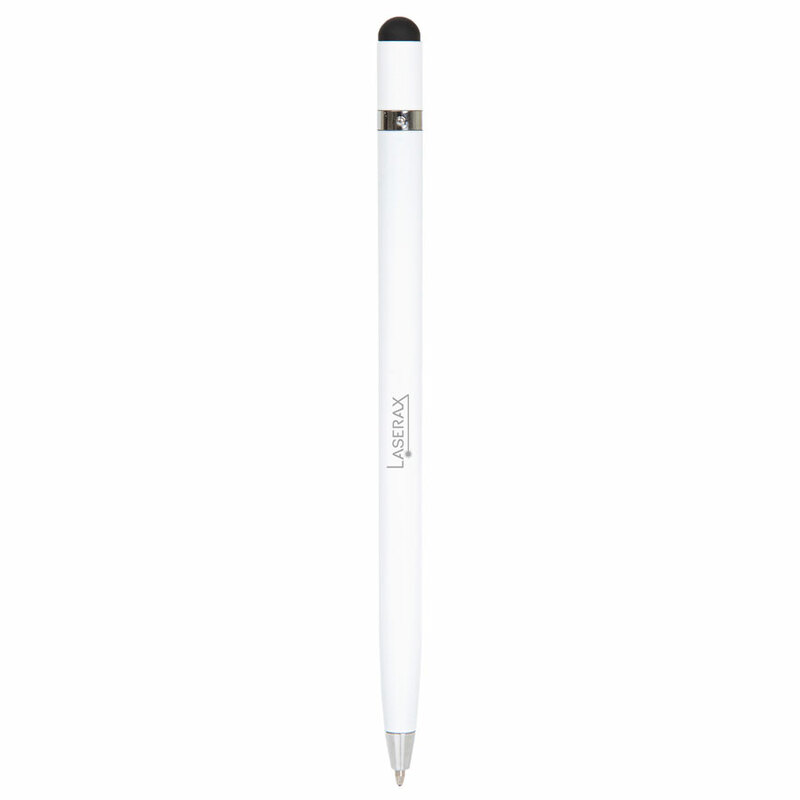 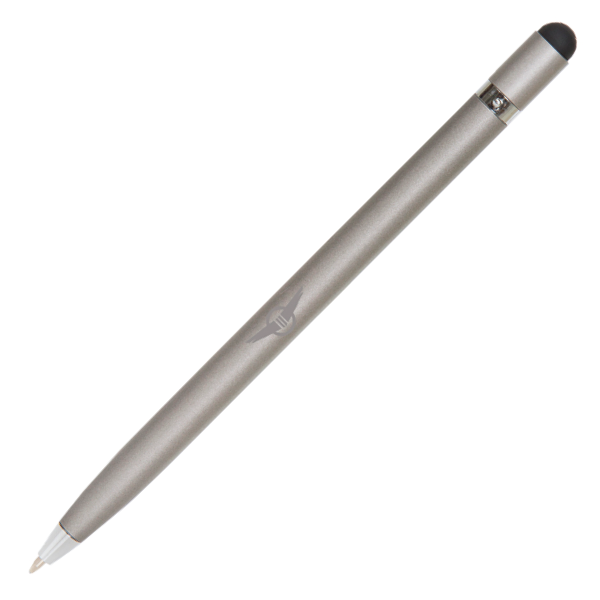 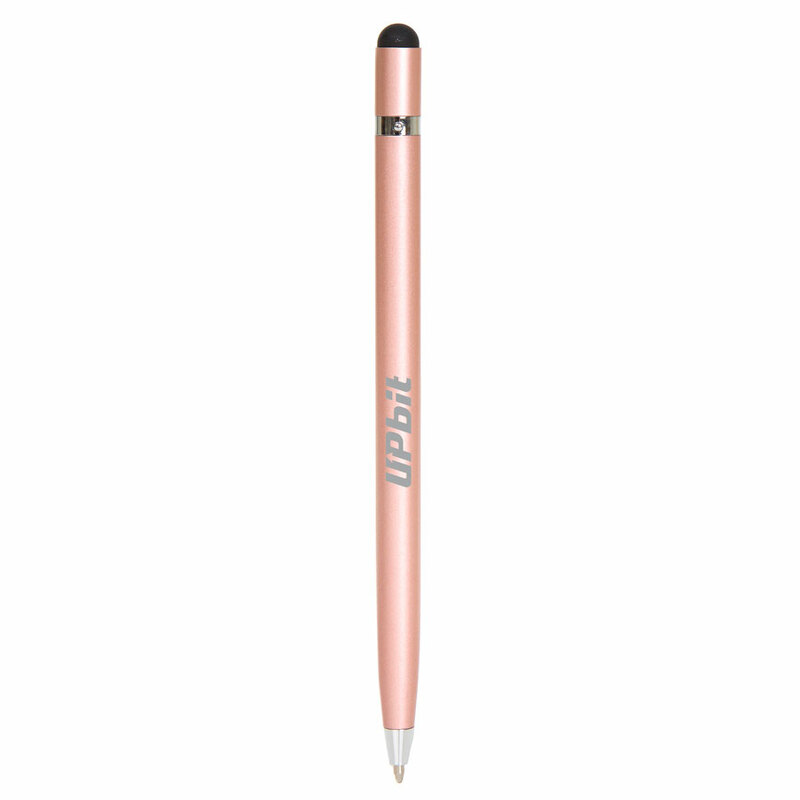 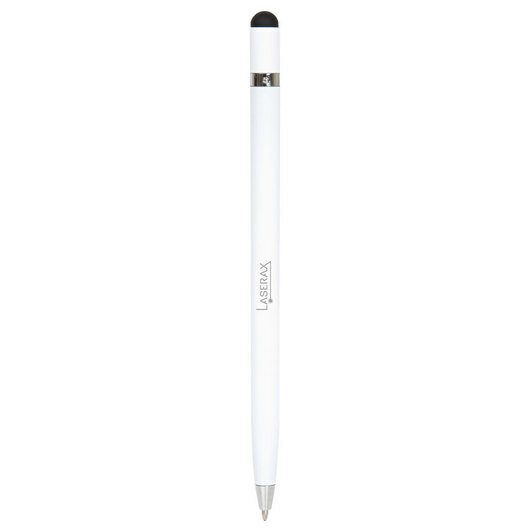 They feature a stylus for use with tablets and smart phones and the pen comes equipped with high quality Black German ink with a tungsten carbide ballpoint for superior performance. 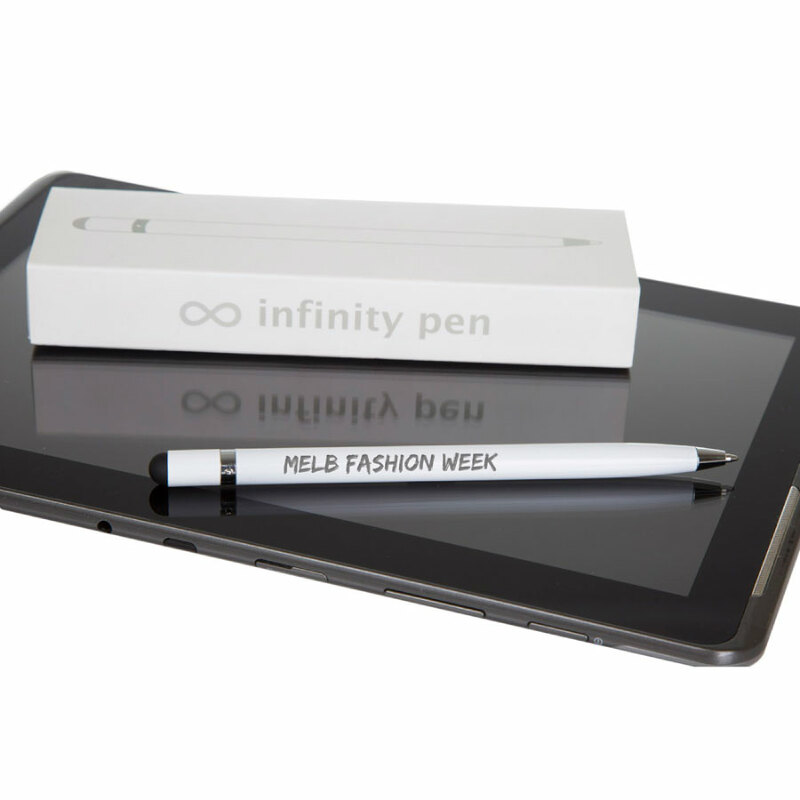 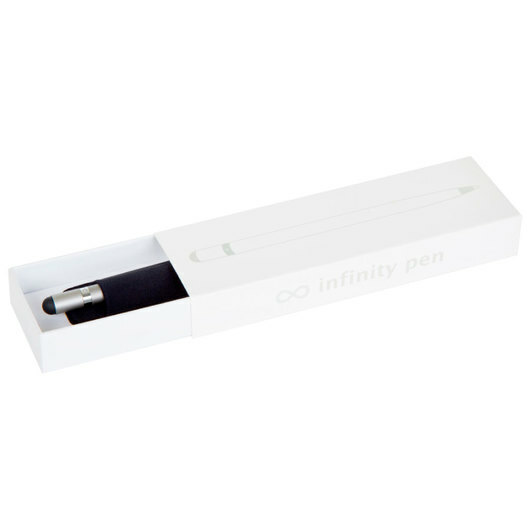 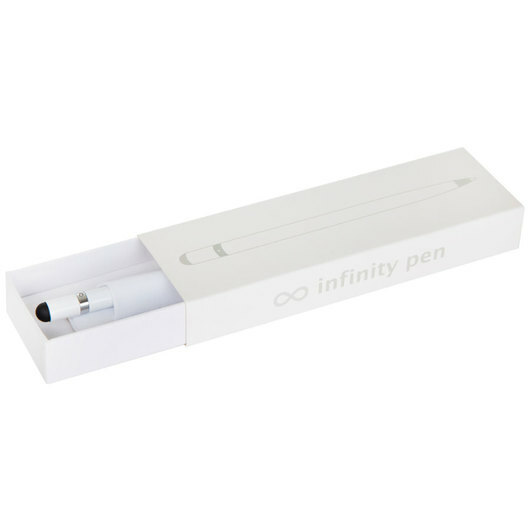 Each pen is boxed in a slide out white box and includes an adhesive lycra pen pouch, the pouch has a 3M adhesive back that allows it to stick to most smooth surfaces, suitable for storing the pen when not in use. Coloured Pouches: White/White Pouch, Black/Black Pouch, Gunmetal/Black pouch, Rose Gold/White Pouch.